Backpacks weighing you down with too many books? Are you tired of getting overdue notices? What about those book pages that are torn or missing, or have coffee rings and bent corners? These are just a few of the headaches facing users of print books. Whereas, e-books are portable, cleaner, available on multiple devices, and you don’t have to drive or take the bus to use or buy one. In 2016, 64% of the HSLS book budget was spent on e-books, while 36% went to print books. Of the overall collections budget, a mere 0.5% was spent on print materials. From the HSLS home page, navigate to the e-resource you want to access. Click on the e-resource’s link. A Pitt Passport pop-up box will appear. The e-resource is now ready to be used. In order for EZproxy to work correctly, you must set your browser to allow cookies. 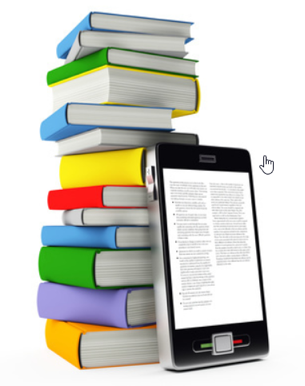 For more information about e-books, contact the HSLS Main Desk at 412-648-8866 or Ask a Librarian.